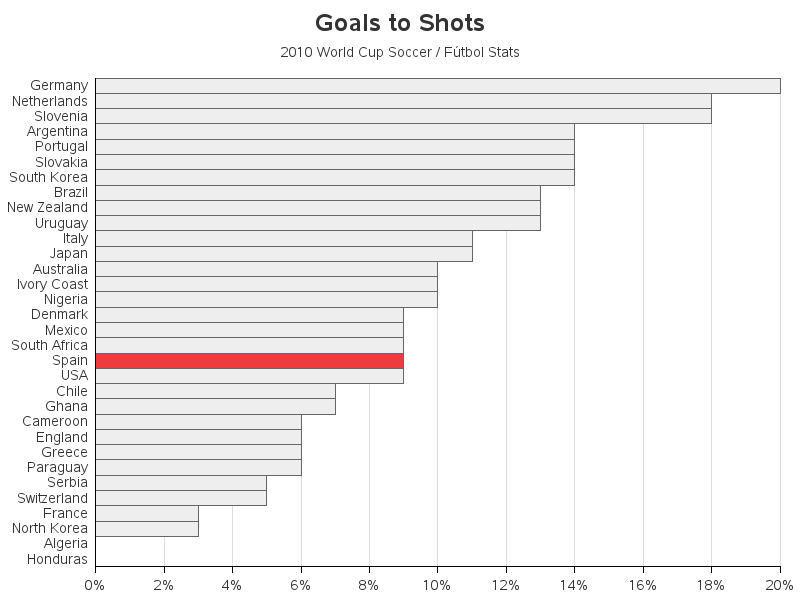 In a previous blog post, I showed several fancy graphs you could use for sports analytics. 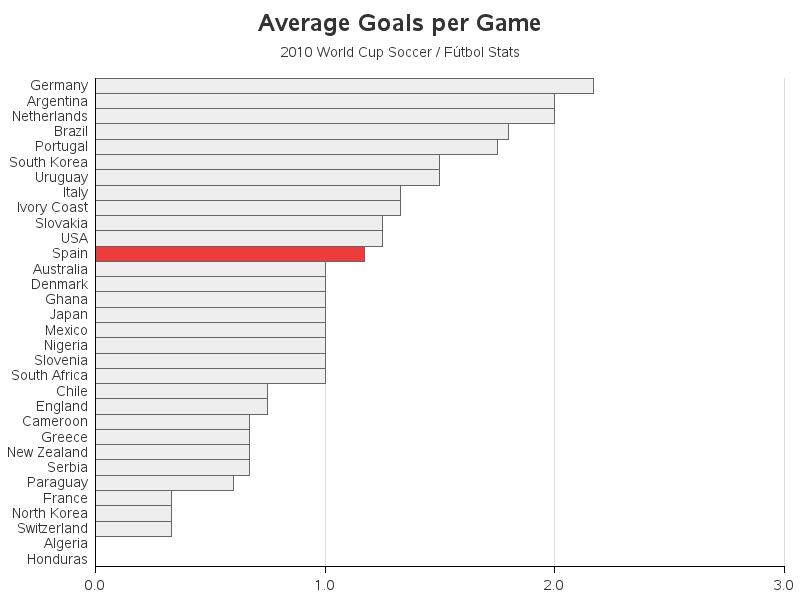 And with the world cup upon us, I thought it would be interesting to re-use some of those graphs to analyze soccer data. 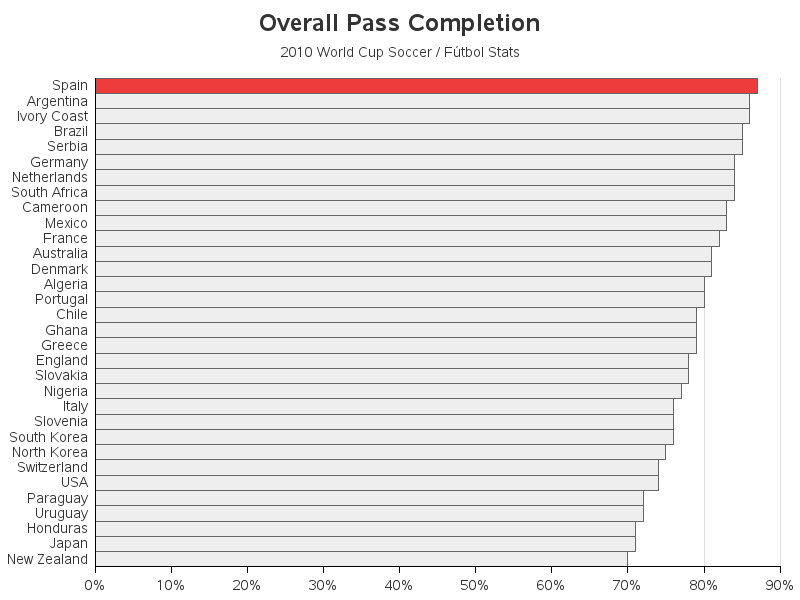 But the more I looked at prior World Cup soccer data, the more I noticed that the simple bar charts actually worked best. Spain was the winner of the 2010 World Cup, so let's see what was so special about Spain in the tournament games. 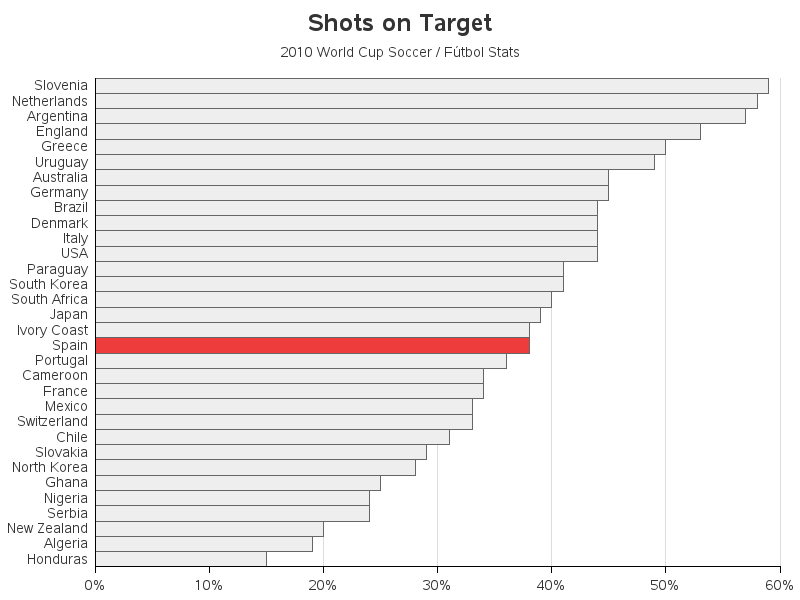 How about the % of shots on target, or the % of their shots that made goals? Nope! They were also right in the middle in those areas too! 1. Defence is as important as attack - Spain kept more "clean sheets" than any other team (5), particularly important when you realise they didn't concede a single goal during the knockout phase. 2. Not all goals are equal e.g. during the whole tournament Spain only scored one goal more than Portugal but all of Portugal's goals came in their 7-0 thumping of North Korea; also Ivory Coast had more goals per game than Spain but were eliminated in the group stage, so context is vital! 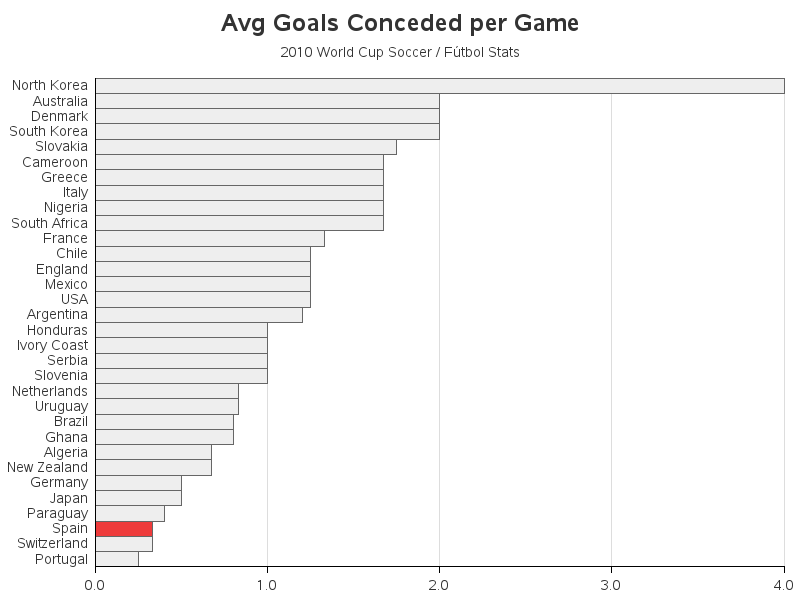 Interesting charts, but what do we see if we look at the second best team (Netherlands)? 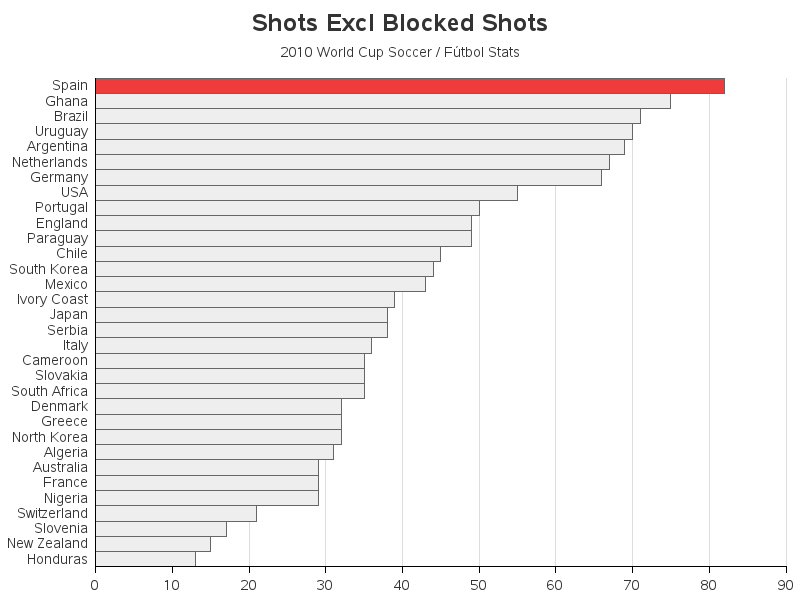 They were far better in Goals to Shots or Shots on Target. 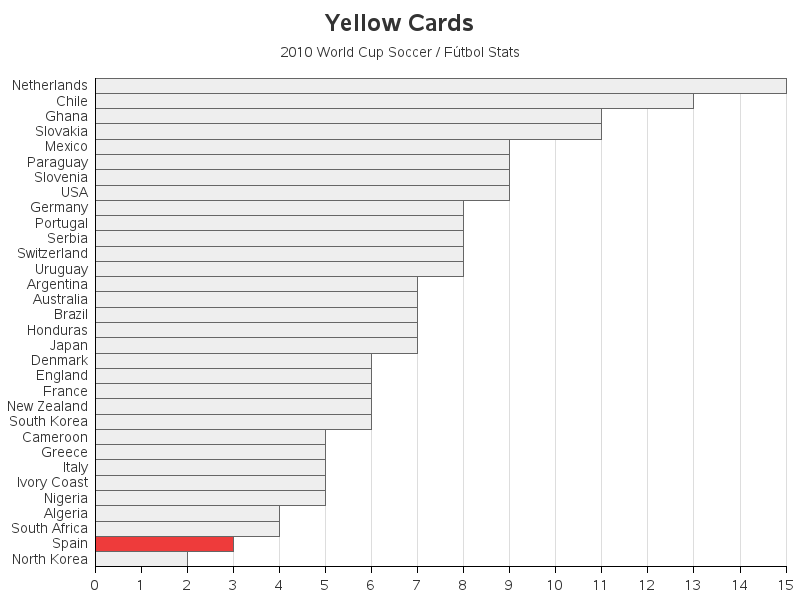 Moreover, they were number one in Yellow Cards! Maybe we need a bar chart for LUCK as well. I'm thinking if we can quantify LUCK in soccer: what is it? 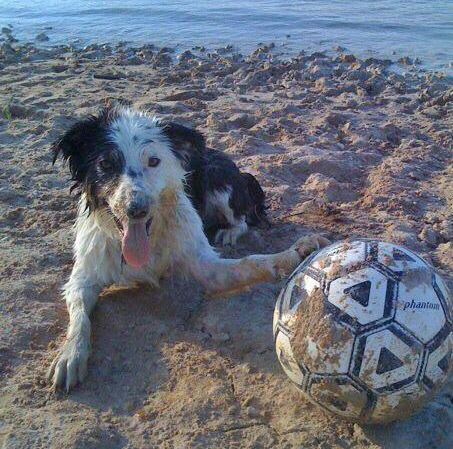 When the ball hits the post? An own goal? And after we find a way to quantify LUCK ... then we have to find a way to predict/forecast it!